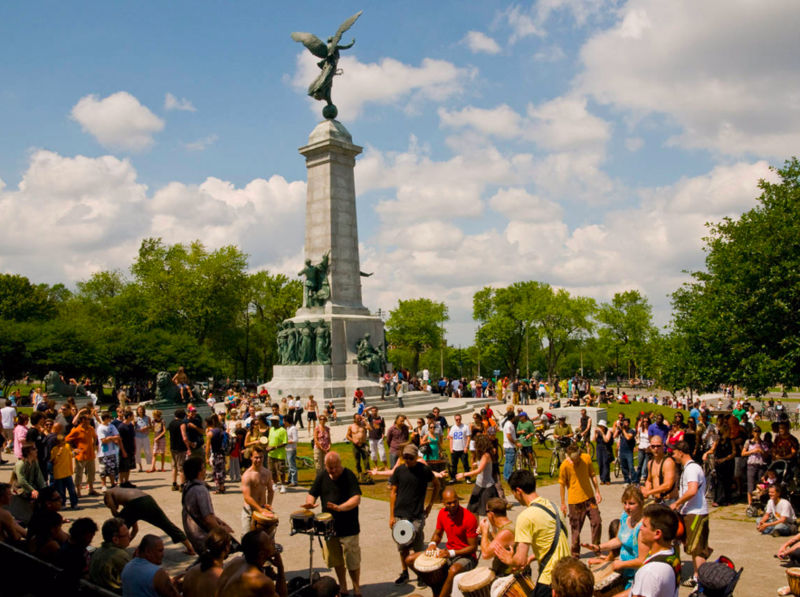 Historical architecture and a laissez-faire vibe give the Canadian city of Montreal a decidedly European feel. 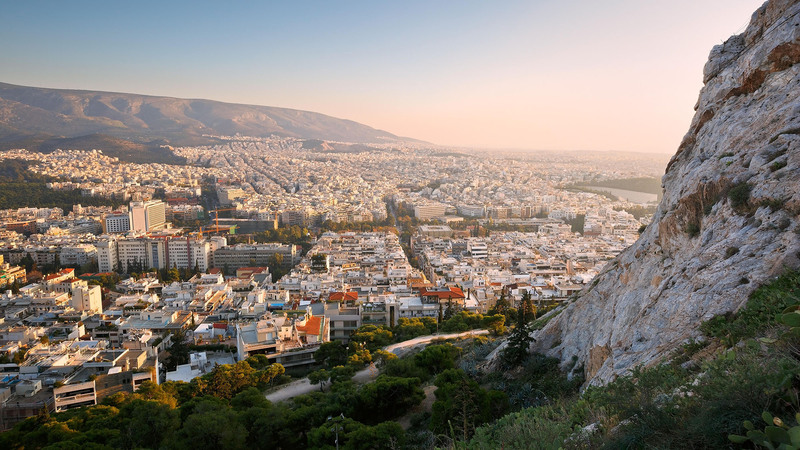 There are long wine-and-cheese-laced lunches aplenty, but there’s also no shortage of healthy eateries, urban hiking, and sightseeing. Whether you’re looking to relax or stay active, here’s what to do in the area known as la belle province. Constructed in 1871, Hôtel Gault is located in Old Montreal, but easily walkable from downtown. The classic boutique hotel offers scenic terrace suites along with apartment-style rooms, and a refined restaurant and bar serving lunch in addition to craft cocktails and snacks like gravlax. If you prefer something more minimalist, consider checking into Hôtel William Gray in Montreal’s Old Port. 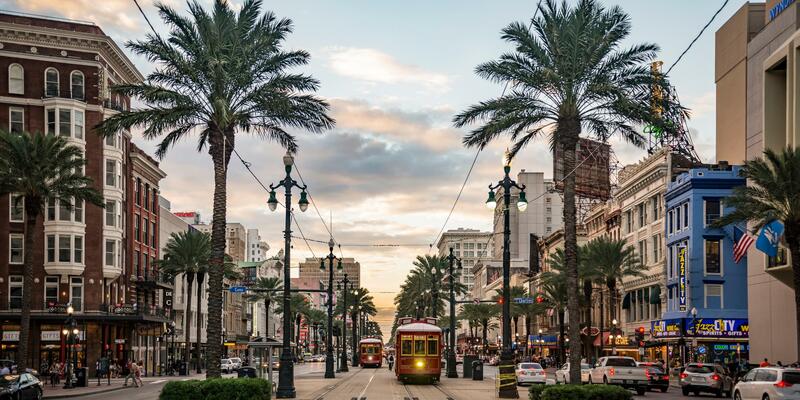 The historic boutique hotel boasts chic rooms with eclectic decor, a rooftop restaurant with striking city views, and a luxe spa that includes a Himalayan salt room and healing quartz massage beds. Start the day with a trip to the Place Ville Marie outpost of Les Enfants Terribles, an eatery offering decadent breakfast poutine with pork shoulder along with more health-conscious selections like aloe vera mocktails and grilled avocado with puffed quinoa. 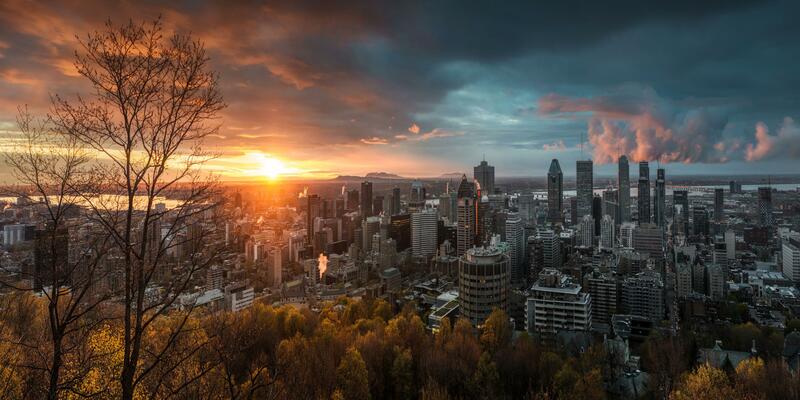 Located on the 44th floor, it’s the highest restaurant in Montreal and provides breathtaking panoramic views—perfect for fueling up and orienting yourself before a day of exploring. 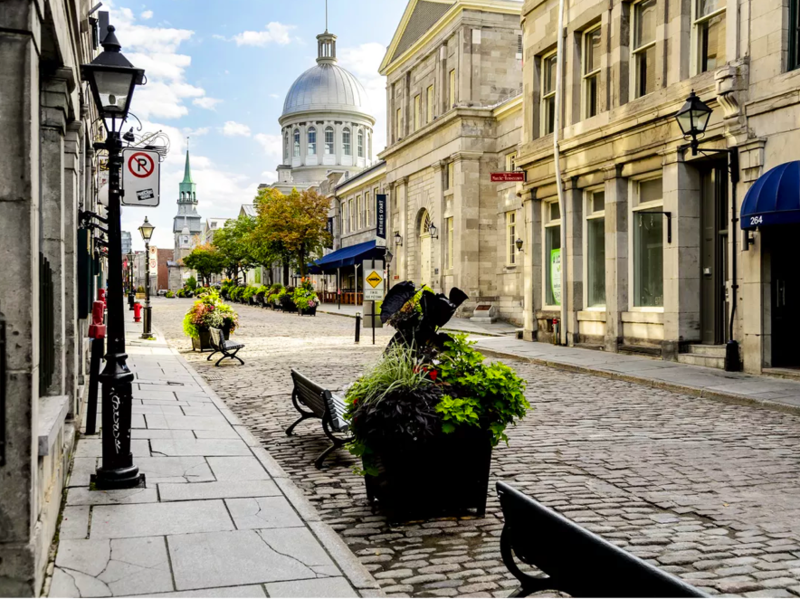 Take a stroll down the historic cobblestoned streets of Old Montreal. Here, you’ll find fashion flagships, 17th-century architecture, and airy cafés. Be sure to pass by the magnificent Notre-Dame Basilica (a near-replica of its Parisian counterpart) as you head south to the boardwalk that runs along the St. Lawrence River or north to bustling Chinatown. Make your way to Mont Royal park where you’ll see weaving pathways leading up to the peak of the city’s mountain. Try the Olmsted Park hike, which spans a little over five miles and starts at the winding staircase by Jeanne-Mance Park. 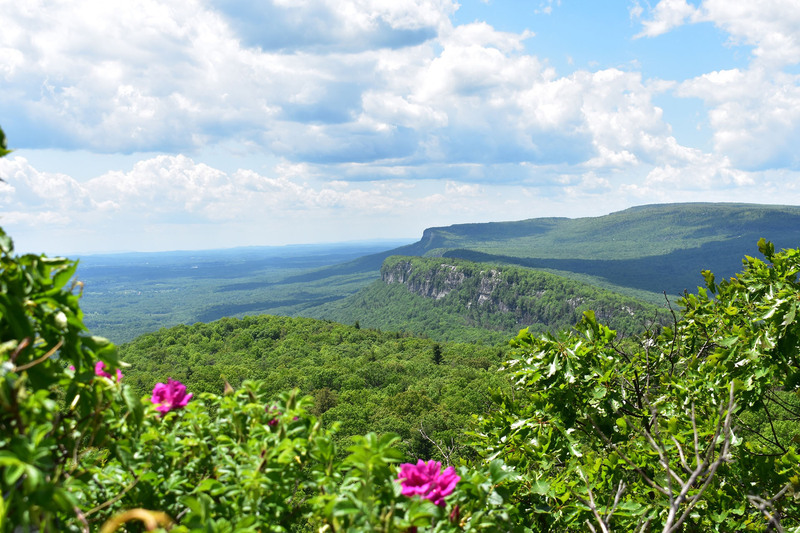 You’ll arrive at a picturesque lookout point which offers fantastic vistas (not to mention photo ops). If you’re feeling festive, check out Le Grand Marché de Noël de Montréal, a Christmas market with performances by local artists, handcrafted gifts, and even log cabins on-site. The market runs from November 30 to December 23. Back in La Petite Bourgogne, dinner is at Le Vin Papillon. The little sister, and arguably healthier alternative to award-winning Joe Beef, Le Vin Papillon specializes in natural wine and innovative seasonal fare like rotisserie cauliflower and smoked carrot éclairs. Finish the evening with a nightcap at Atwater Cocktail Club, a speakeasy located on the corner of Avenue Atwater and Rue Notre Dame. To get into the bar, walk down the alley with the illuminated red light and allow yourself to be consumed by the prohibition-era aesthetic. Head to LOV (Local, Organic, Vegan) for a quick bite. This charming vegan restaurant serves hearty dishes like bagels with smoked tomato and cashew cream cheese, chia parfaits, and crêpes with apple compote. If you’re in the mood to imbibe before noon, sample one of their refreshing pear and sage mimosas. Get lost in The Underground City, a labyrinth of pathways that connects downtown office buildings, shopping malls, restaurants, and more so locals can keep warm in the frigid winter months. Once you’ve gotten your fill of the indoor tunnel system, head above ground to explore The Golden Square Mile. 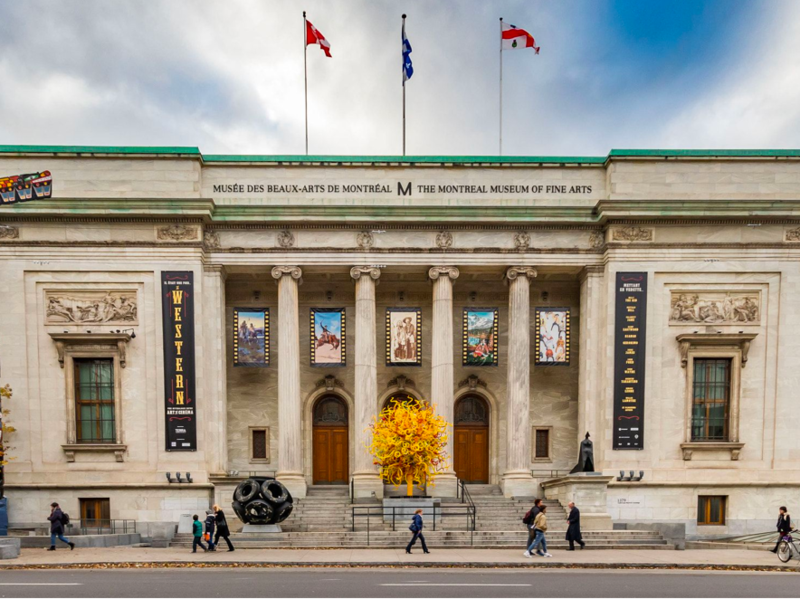 Slightly north of downtown, this upscale district is home to The Montreal Museum of Fine Arts and many smaller, edgier art galleries. Don’t miss the permanent outdoor collection, which includes pieces from iconic sculptor Dale Chihuly. Like Paris, Montreal is a city of cyclists, so if you want to see the town in a flash, check out Ma Bicyclette and hop on one of the many bike paths. 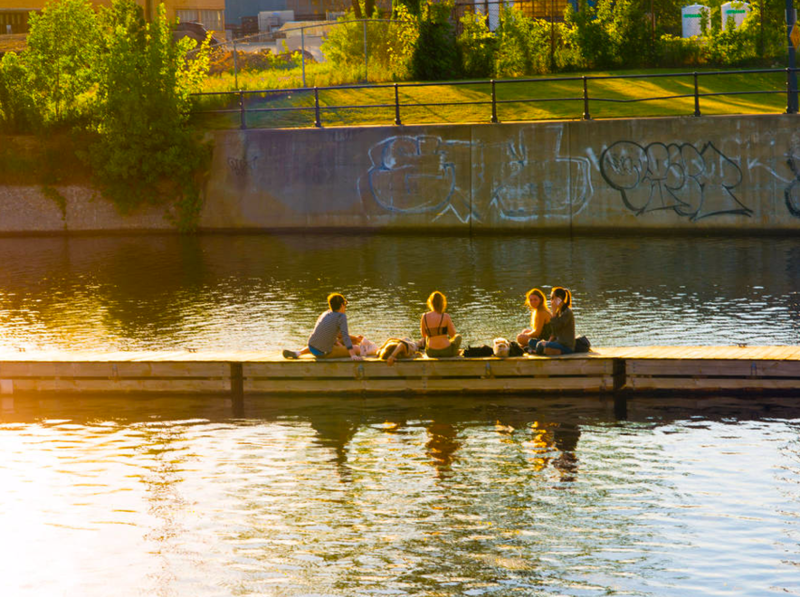 Head to the Lachine Canal if you’re in search of a more nature-fueled tour. If you prefer a more urban experience, cycle up bustling Avenue Parc and into the Mile End and Little Italy. Stop at Marché Jean-Talon. Previously a lacrosse field, the biggest farmer’s market in Montreal is where you’ll find raw goat’s milk cheese, croissants, and fresh green juice. Finish off the weekend with pizza and wine at award-winning Elena, located in the up-and-coming Saint-Henri neighborhood. The wood-fired pizza is made using naturally leavened dough and served with an impressive selection of natural wines that hail from rural Québec and Ontario all the way to Tuscany and Veneto. Make one last stop at Loic, just a block away from Elena, in the historic Molson family bank building. If you have any appetite left, sample some of their elevated yet unpretentious bar fare and maybe one more glass of natural wine.